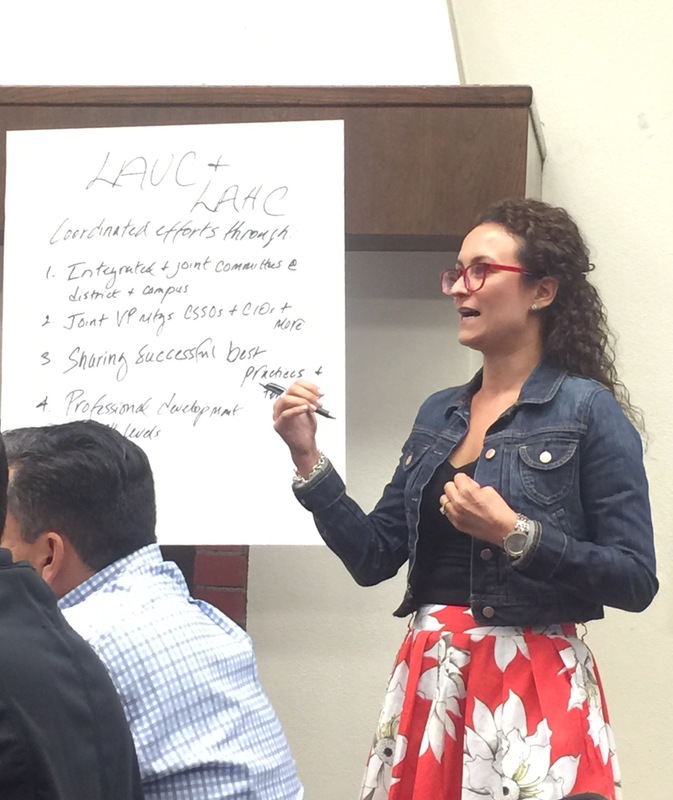 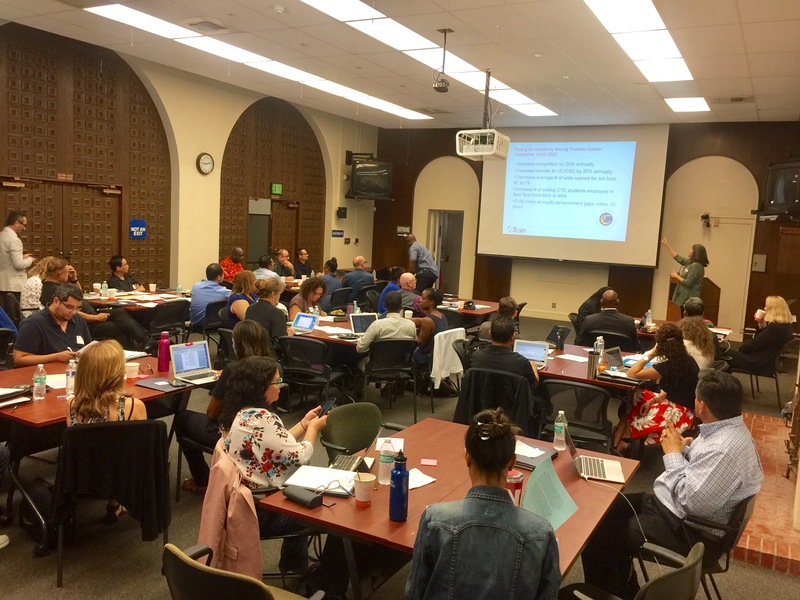 Campus leaders from the Los Angeles Regional Network gathered for an Integrated Planning Retreat, hosted by Los Angeles City College. 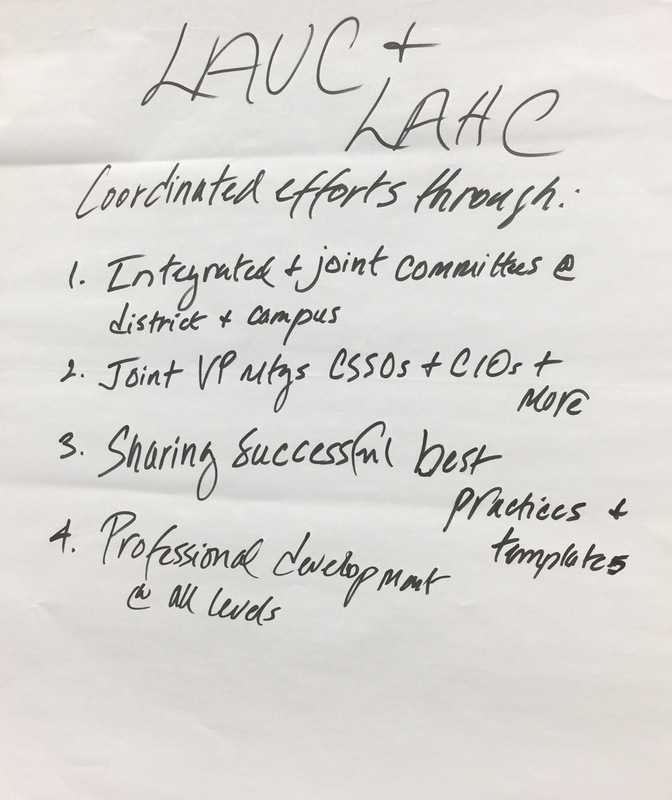 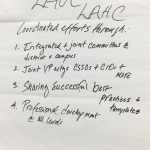 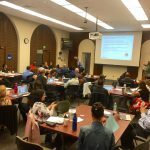 Teams consisted of LACP implementers, Counselors, SLO Coordinators, SSSP & Equity Committee Members, Institutional Researchers, BSI leaders, and other leaders key to campus Integration efforts. 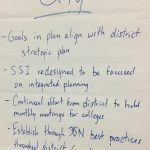 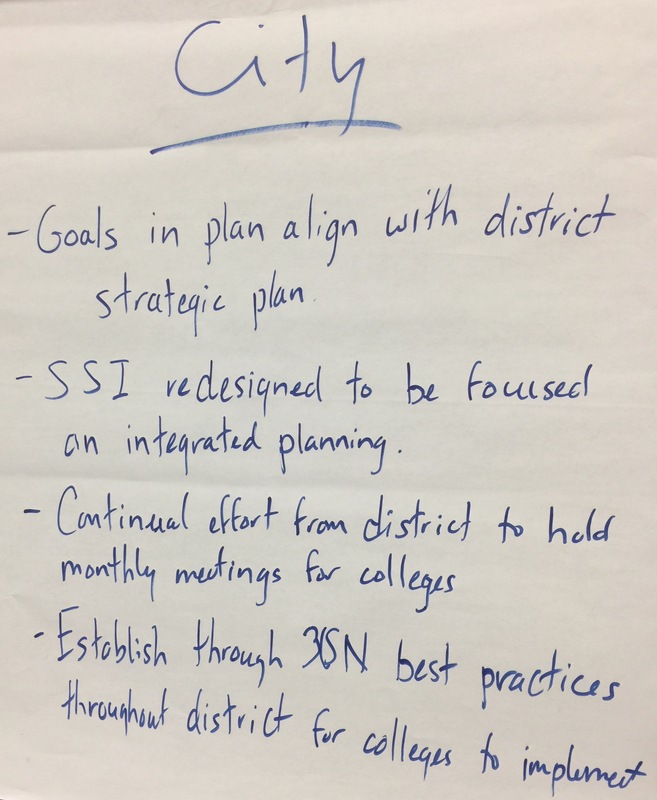 Through Appreciative Inquiry, Equity and Coherence as a frameworks for system transformation, teams reviewed and discussed their integrated plan requirements and focused on aligning program plans with their college and district strategic goals and educational master plans. 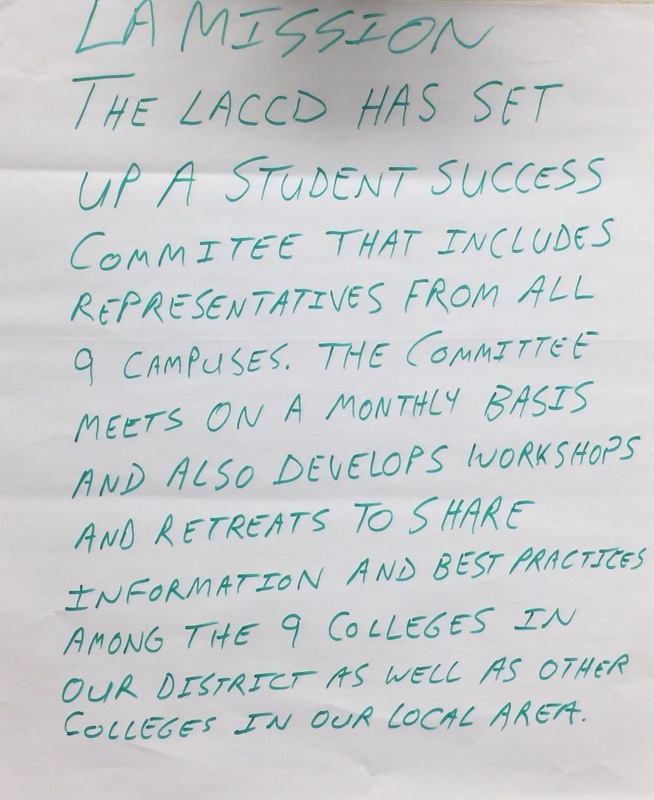 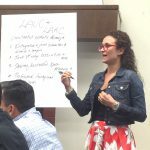 Through guided activities, participants identified “convergent goals” and connected their integrated plans to student experiences and guided pathways. 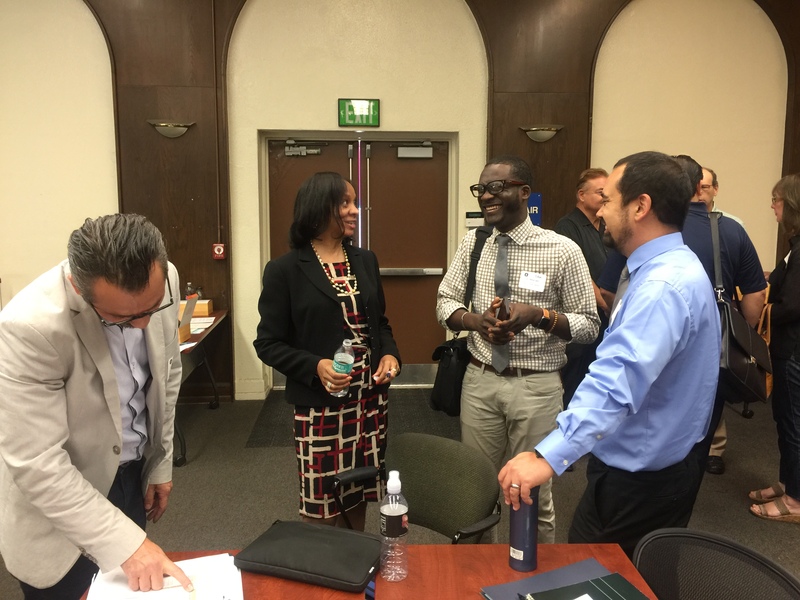 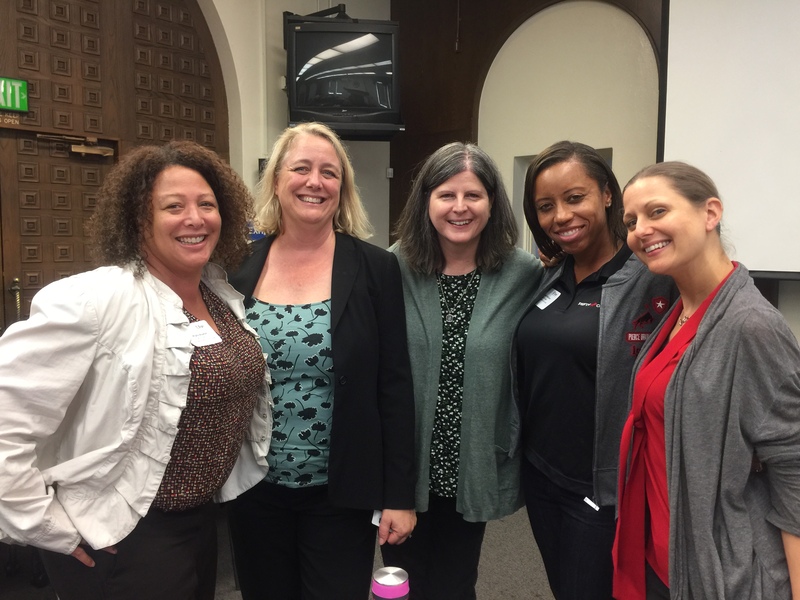 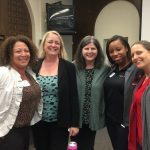 The event concluded with campuses focusing on ways to collaborate and continue the conversation to increase district-wide efforts of improving student persistence, completion, transfer and success rates.